Working on reading comprehension? 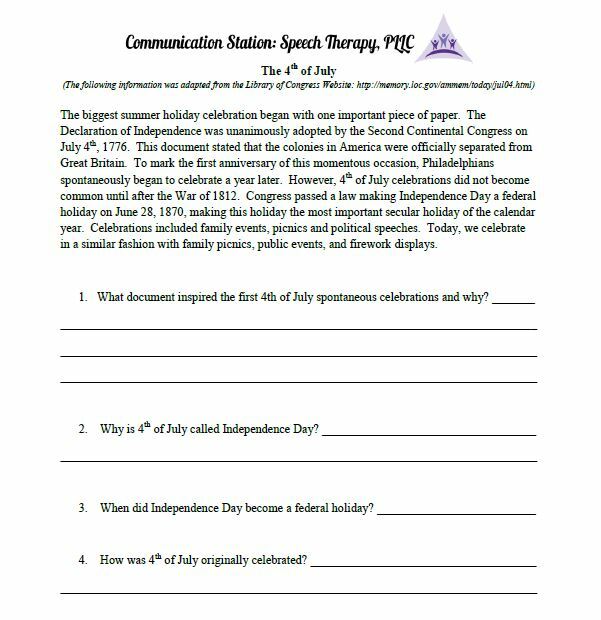 How about a simple expository text about the basic history of Independence Day? There are a few difficult vocabulary words in this paragraph so be aware of this when working with your clients. You may want to add a vocabulary lesson as needed. Enjoy and happy reading and talking! ← Tip Tuesday: My Introduction to the ECO Language Program!